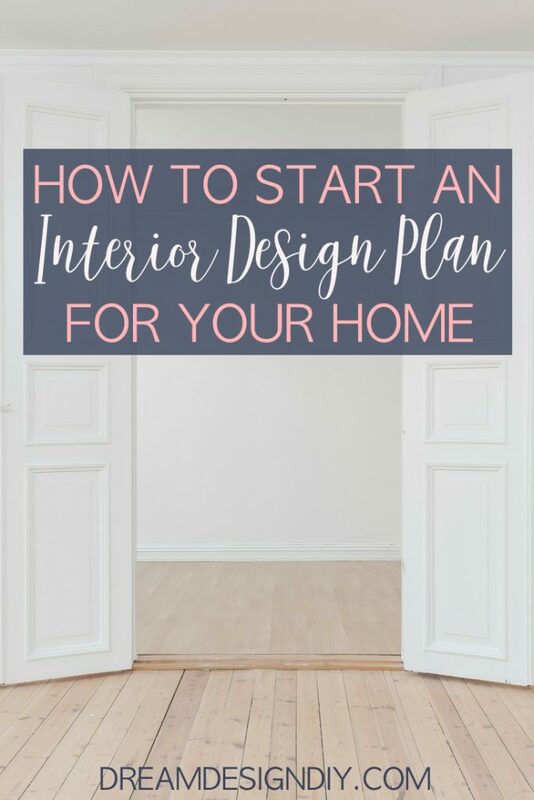 Knowing how to get started with an interior design plan can be overwhelming. Here is the first step to get you going. Starting a design plan begins with visualization! With all the magazine, online resources, home improvement shows and of course Pinterest (my favorite) it is easier and more affordable than ever to decorate your home yourself. However knowing how to get started can be the biggest challenge that I hear from readers. Taking the first step to plan for your space can feel like your staring at a blank wall. Unfortunately you probably are literally staring at a blank wall lost on what to do. This post will show you how to get started with your design plan when you don’t know how to start. 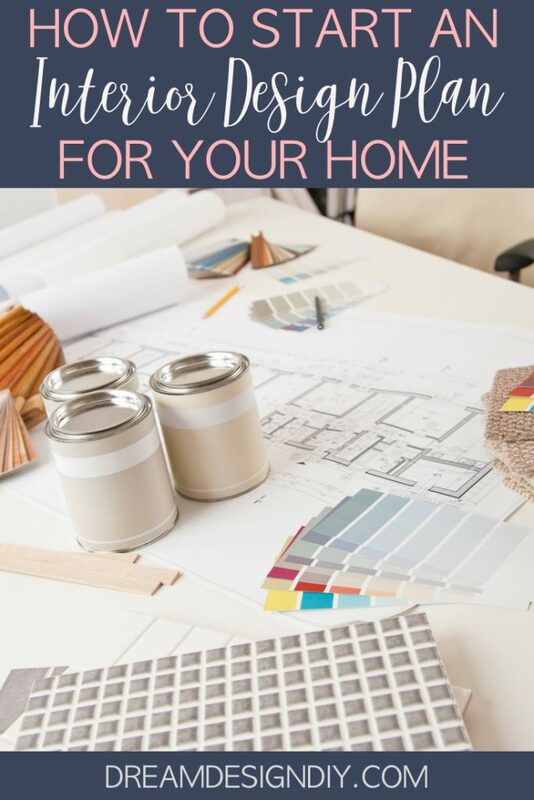 I am a firm believer that you can learn the tools and techniques to design and decorate a beautiful home without having to hire an expensive interior designer. Not only that you can do it on your budget. I think most often knowing how to get started and actually taking the first step can be the most difficult and intimidating task of any new endeavor. However, when you do take that first step it seems to make the next steps easier and helps to move you closer to your goals. In this case a goal to have a beautiful home that you love. Why Have a Design Plan? A design plan is a blueprint, a guide to direct you with the elements (colors, furniture, wall art, textures, etc.) 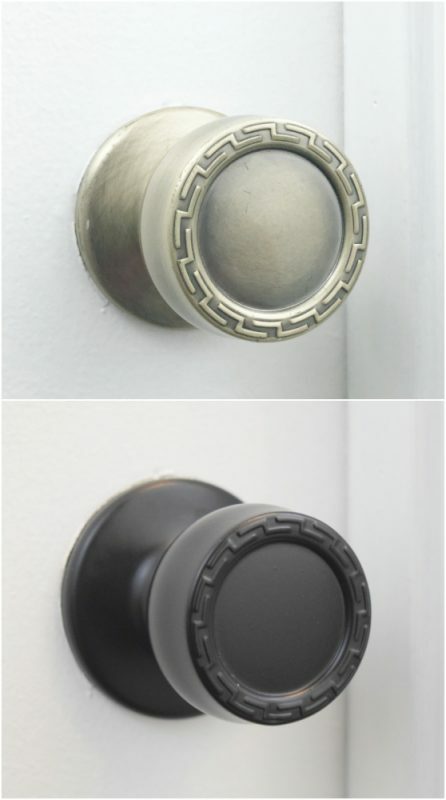 that will make up how your home looks. A design plan saves you time, money and frustration. It builds confidence in your interior design skills. You can design a home you love, that you love sharing with family and friends, and on a budget that you love as well. No expensive interior designer needed. When it comes to designing spaces I find there is much confusion surrounding the subject. There are so many rights, wrongs, ifs, ands and buts that it makes my head spin and I feel like I am taking chemistry all over again…and I hated chemistry. Scenario #1 (regret) – Do you ever find yourself caught in a situation that you spent way too much money and time decorating a room only to not like the way it looks? 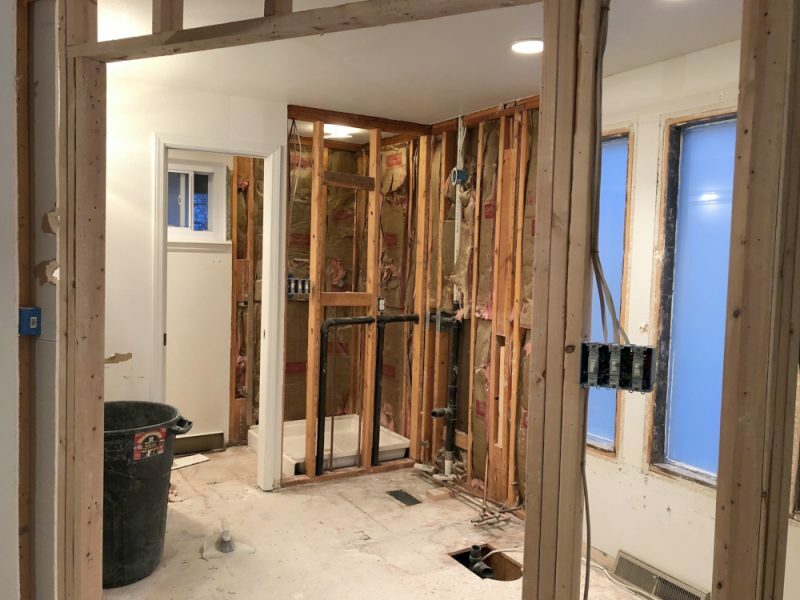 Scenario # 2 (fear) – Do you often get so caught up in interior design and decorating information overload that you fear you will make a decorating mistake like in the first situation, so you procrastinate and avoid making decorating decisions altogether? So by playing it safe your house feels lifeless, lacks character and doesn’t represent the beautiful space you know it can be. I can relate to both of these scenarios and often times I get stuck in both of these dilemmas simultaneously. This is why having a design plan is essential to designing and decorating your home. If you are stuck in scenario #1 a design plan can help you to put the brakes on, reevaluate where you are, where you want to be and get you back on track. A design plan will help you overcome scenario #2 by creating a starting point on which to build your design plan and have the confidence to move forward, and ultimately prevent scenario #1 from happening. I hope I can help ease your mind in that this first step simply involves dreaming, visioning and brainstorming. Every good plan starts out with brainstorming. Brainstorming is an opportunity for you to take some time to think about your space with no judgement. Let go of any preconceived ideas, or constraints on time or finances. These will limit your thoughts and dreams. The reality of your projects will come to be in further steps in the planning process so don’t worry about how realistic a thought is right now. Also you never know how crazy a thought could become reality with a little planning and creativity. Look through home magazines, home design sites and Pinterest for inspiration. Write down all of your dreams, thoughts, wishes, whatever big or small for the space that comes to mind don’t discount any of your ideas. 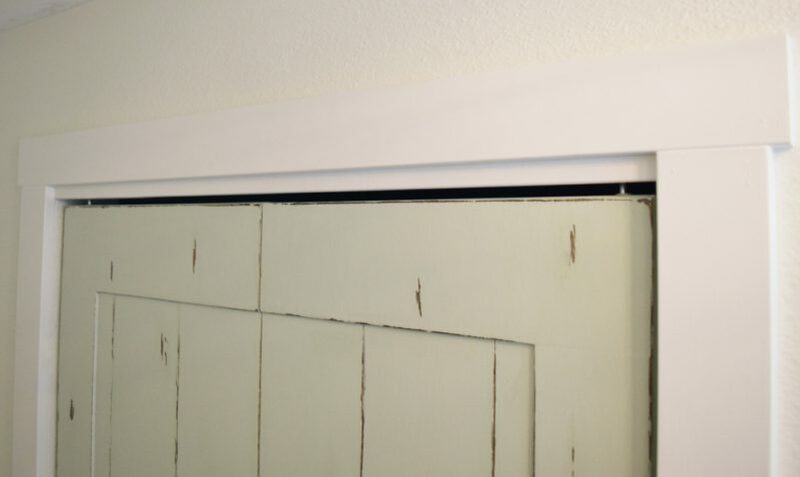 Repeat this process for every space you plan to design and decorate. 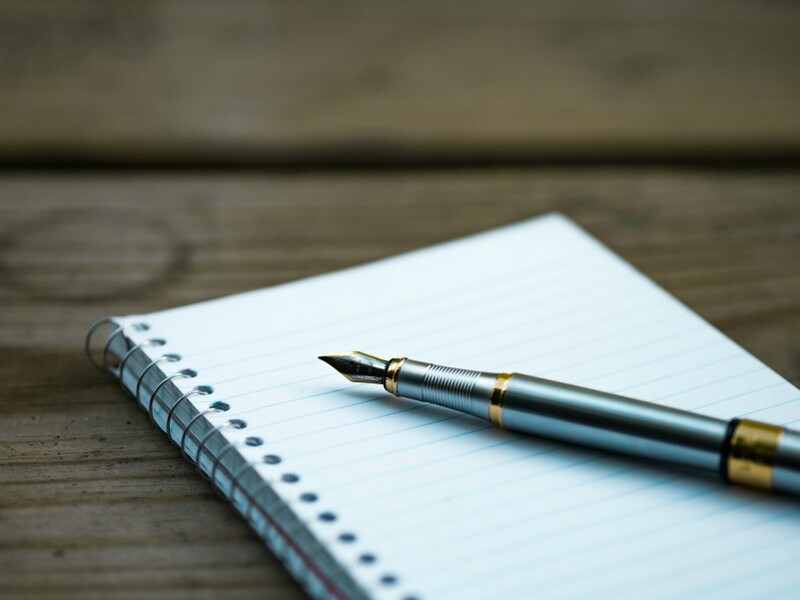 Keep your papers together in a binder or notebook for easy reference. 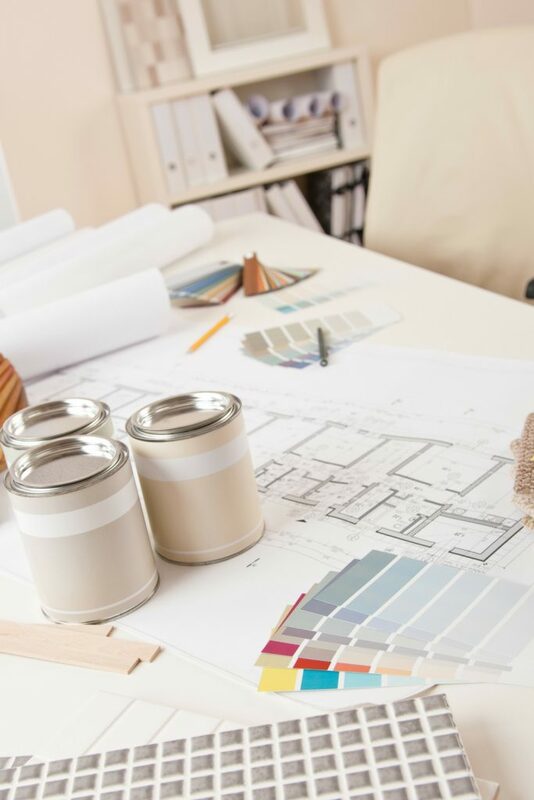 The following points can get your brainstorming session going: colors, feeling/mood, organization ideas, flooring, furniture, wall art, pictures, window treatments, lighting, function (what the space will be used for), etc. There you go you just got started with the first step in a design plan. Stay tuned to see what you do next. Be patient not only with the space you’re working with, but also with yourself. 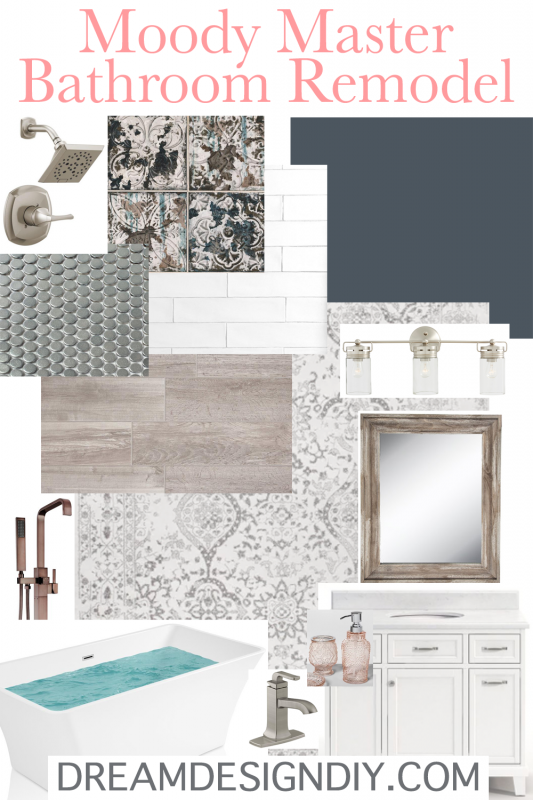 Design is a process and it takes time to plan and create a room that you love. Wow wonderful ideas shared by the author. Neat and cleanly explained. Thanks so much Shermila! Glad it to hear it helps.